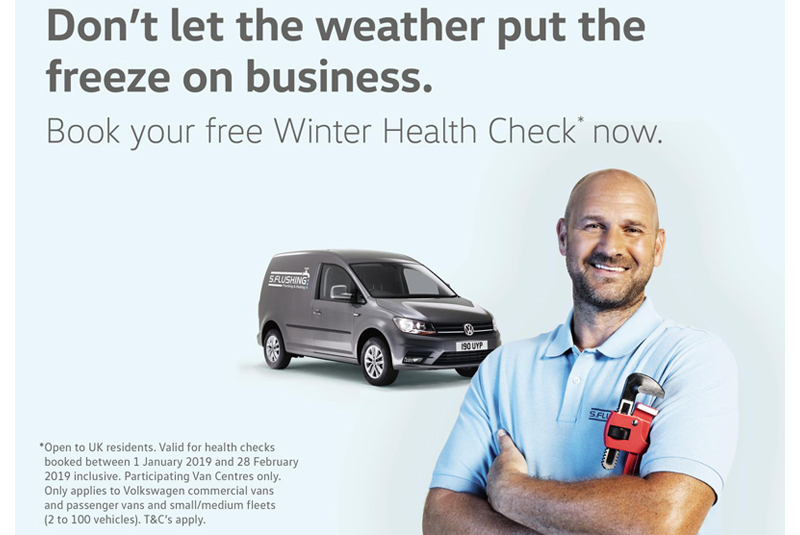 Volkswagen Commercial Vehicles is offering van drivers a free Winter Health Check to help keep their businesses on the road as temperatures plummet. Weather forecasts predict the UK will be struck by the return of the “Beast from the East” in the coming weeks, which caused vehicle breakdowns to soar by 33% over a six day period last year. However, the majority of winter breakdowns could be avoided altogether with regular maintenance – as research reveals the most common causes of vehicle incidents include battery problems and defective tyres. Owners can book a free check at their local Van Centre until February 28 to help beat the freeze – with expert technicians carrying out the checks no matter how cold, dark or wet it gets. Trevor Hodgson-Phillips, Head of Service and Parts at Volkswagen Commercial Vehicles, said: “The winter can be a particularly tough time with earlier morning starts in the dark. The mix of cold, damp weather is also bad for vehicles so it’s vital owners keep on top of van maintenance to ensure they stay on the road. Call your local Van Centre or visit www.volkswagen-vans.co.uk/app/local/service-booking/ to book your free Winter Health Check.